While I’ve hardly been a full-time freelancer a month, I have received SO many questions, DMs, emails, comments in Facebook groups, etc. about how I got started as a freelancer. 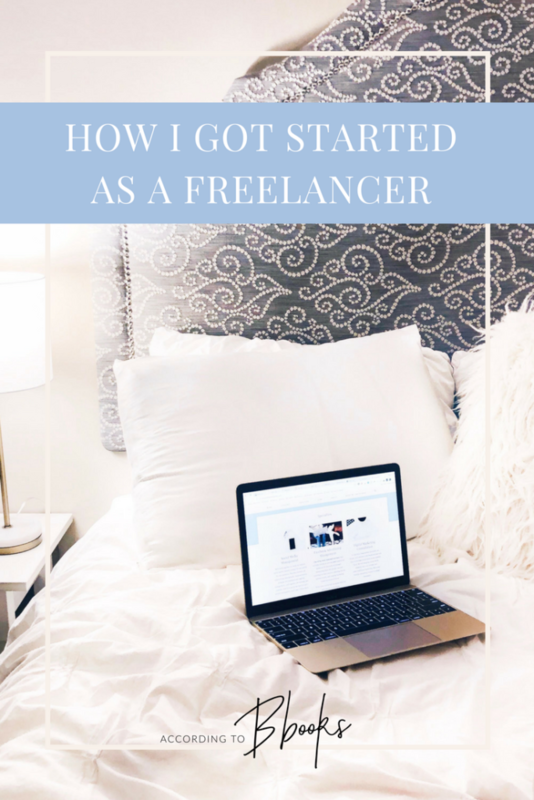 While I had been doing freelance projects on the side for about 2 years while having a full-time job, making the transition to full-time freelancing was quite a bit harder than I thought. However, taking the leap was so much easier than I thought. On my first real day of freelancing I thought I’d be stressed out and scrambling – but instead I was thinking “ok, now what?”. I got to choose what I did everyday, how many clients I took on, how much I charged, and what hours I worked. 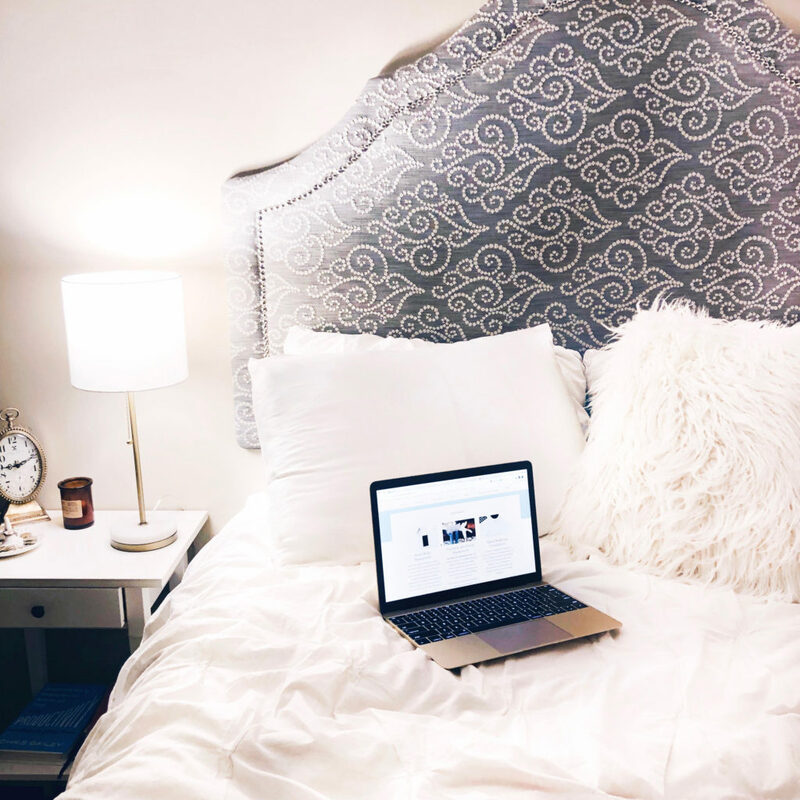 So, if you’re looking to join me in this crazy & stressful, but flexible and fulfilling life of freelancing, I have put together some of my tips if you’re just getting started. If you have any questions let me know and I’d be happy to help! I’m not sure how many people know this, but when I graduated from college I took a job with Target (everyone loves Target, right?). WRONG. I was SO miserable and even though my title was “Executive Team Lead of Guest Experience” I was walking the store, overseeing the unloading of the truck, dealing with angry customers, and hopping on a register when things got busy. 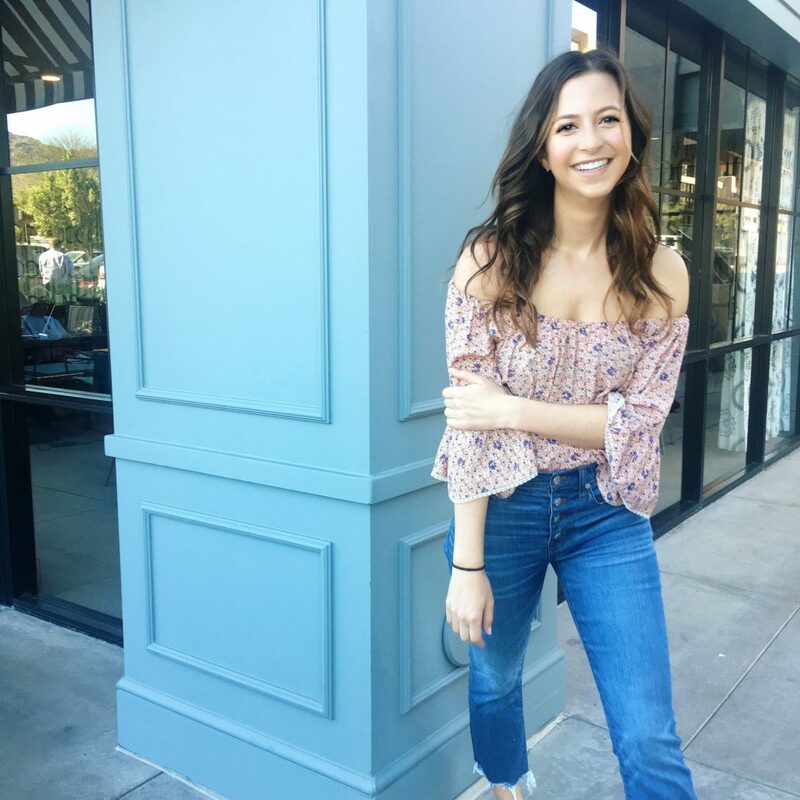 I had never worked in retail before & all of my past internships had been in digital marketing or social media – I was clueless. And I was MISERABLE. I worked 50 hours a week, worked every other weekend, and 10 hour shifts (typically 6am-4pm). My training had me going from store to store to shadow managers for 2-4 weeks at a time. Some were great and supportive, others…not so much. My hair was actually falling out. I quit within 3 months without a job lined up. After having so many internships in college that I excelled in, it felt like rock bottom when I had officially entered the real world with a real job and couldn’t last 3 months. It sucked at the time, but looking back I’m so glad I quit when I did. I was fooling myself thinking I would enjoy a job when I wasn’t able to spend any time doing anything remotely related to digital marketing. I didn’t even have time on the weekends to research & keep up with social media trends. I thought having a good job with a good company, 401k, healthcare, etc. would make me happy. Surprise, it didn’t. The failure was kind of a blessing in disguise. Without a job lined up, the first thing I did was try and make some money quick with the only skill I had real experience in – social media. I made freelancer profiles on guru.com, freelancer.com, and upwork.com and applied for every and any job that met my qualifications. It was time-consuming, but I got a few gigs who I still have as clients today! I also created a website to display my portfolio and clientele. Then, I got a part-time job at a social media agency and shortly after got a part-time job as an editorial assistant at Bloguettes. A few months later, I was hired on full-time at Bloguettes as a Content Moderator, and later that year was promoted to Marketing Director. It all happened so fast, but I was finally doing what I truly loved and my hair stopped falling out! haha. I kept up with the freelance work on the side and continued to passively look for freelance gigs that might be a good fit. In April of 2017, I bought my first official course in managing Facebook Ads from Cat Howell. This was definitely an investment for me, but the price tag on it forced me to study hard, join all the live calls, and really apply myself. I’ve read that you should set aside 5% of your income for courses, education, conferences, and similar “investments” in your education and career. So I justified my purchase that way lol. I had my first Facebook Ads client within 6 weeks! I love that Facebook Ad Management combines my two passions: analytics & creativity (and a little bit of luck and magic lol). I also love that it was fairly easy to get great results for my clients. I soon landed a second client in July who I ran a $4,000 campaign for that generated them $22,000 in ticket sales! It felt great & I was thriving. In August was around the time when I truly toyed with the idea of freelancing full-time, but I didn’t think I could do it. I bought & read the books You’re A Badass and You’re A Badass at Making Money (you can read my review on the former here! It’s amazing) AND I signed up for an online therapist/coach for a month to get me out of this rut I was in. The books were great because they showed me what others have done and how I can do it too. They also reminded me WHY I’d be great at doing what I’m truly passionate about and that I am a badass haha. The therapist/coach was great because she gave me actual tools (and encouragement, of course) to logically make this happen. She recommended I create a financial performer to figure out exactly how much money I’d need to be making to be safe financially. She also talked me through my self-doubts and how to overcome them. The “online” aspect of the therapy was great because I could essentially message her whenever I wanted or whenever I thought of something that was bugging me. I also could book weekly calls with her, so that helped too. After reading the books & finishing my time with the therapist it was GO TIME. I was basically letting it be known with the world that this was my plan, and things slowly started falling into my lap (not saying that I didn’t work really hard for it lol). A friend connected me with someone who was looking for social media management help remotely, and I secured a gig with an awesome local brand (looking at you, Rafterhouse) after cold-contacting them via the form on their website! So, then I realized I needed to understand that I wouldn’t be able to take on BOTH of these gigs, keep my other freelance work, AND have a full-time job. That’s when I approached my bosses about making the leap, and they couldn’t have been more supportive! This first month has definitely been scary, stressful, and lonely. I think I thought it would be easier haha. I’m still figuring out where I envision all of this taking me. But! This week I did two big things. I hired my first intern (!!) which will help me get more done and take on more clients. Plus, I purchased a freelancing course that was on sale on Cyber Monday for half-off lol. So I’m really excited for the knowledge in that course to help propel me to the next step. Plus, I really do feel so much happier and fulfilled. I love the challenge this little business of mine throws at me and am thankful for this opportunity. I’m working on another post to share more details about my first month of freelancing, so stay tuned! Be sure to follow me on Instagram and to subscribe to my email list in the footer of my website. How awesome! Congrats! I also live in Scottsdale 😁 (fellow TSC reader 💕) keep it up! !